Hawaii is unique as the only American state surrounded by the ocean, no matter where in the Hawaiian Islands you are. We are truly blessed to have such an invaluable and abundant source of both fresh and salt water. However, many of our local water sources are in serious danger. The Ala Wai Canal, Hanauma Bay, and Waikiki Beach are all places in Hawaii that were once so pristine but are now so polluted. Ala Moana Beach Park, where I monitor water quality, is just one casualty among many. Beaches across the nation are being smothered by a tsunami of issues, and I’ve come to realize that there is not nearly enough preservation and restoration work going on to save these precious places. As part of EarthEcho’s Water Challenge Ambassadors program, I have been taking monthly water samples from Ala Moana Beach Park. Ala Moana Beach Park is one of the most famous beaches in Hawaii and is heavily used by both locals and tourists since it is close to many shopping malls, hotels, and stores, with hundreds–if not thousands–of people using the beach park daily. In addition to the many people who use Ala Moana Beach Park, it is also susceptible to runoff, sewage spills, and pollution from litter. Because of these factors I chose to monitor this body of water even before my selection as an EarthEcho Water Challenge Ambassador had been confirmed. When I was mulling about the issues facing our beaches I realized that one of the best ways to address these challenges is through citizen science, the process of individual citizens playing a role in collecting and sharing critical scientific data. A quote by the world-famous Jacques Cousteau expressed that “people protect what they love.” However obvious this may be, his words could not be more true, and this is the core of citizen science. Citizen science helps continue the maintenance, learning, and love for our natural resources when the going gets tough for the organizations and agencies already caring for them. This is why I believe that citizen science is the form of exploration, research, and conservation of the future. So be a citizen scientist. Go protect and preserve a place you hold dear in your heart. Gather friends, family, experts, neighbors, strangers–anyone really–and ask for their assistance and/or participation, as citizen science is most powerful in a collective and cooperative manner. Approach environmental organizations, university departments, and government agencies, for information, help, connections, and more. The actions I take as a citizen scientist range from taking data on different parameters at a local beach (my Water Challenge Ambassador work), attending beach clean ups, and educating the community about the importance of preserving these places. The solution that you pursue should match the needs of the place you want to protect, and your interests. Love your work, have patience, and be determined. Above all, have fun. 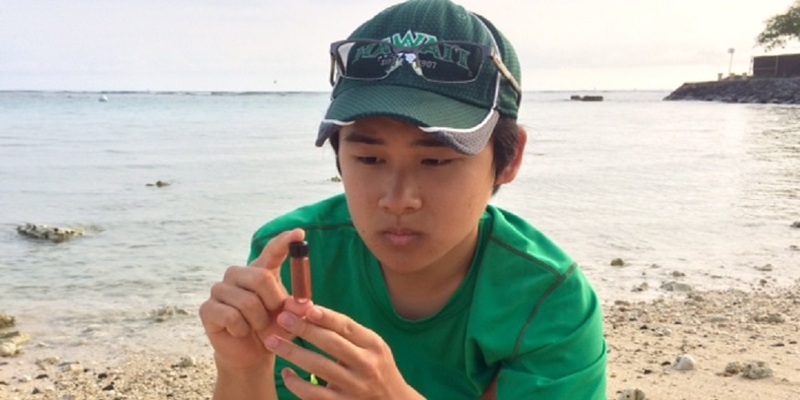 Editor's Note: Dyson Chee is an inaugural EarthEcho Water Challenge Ambassador, a group of young leaders working to engage their communities in water quality monitoring and conservation efforts while increasing their knowledge of water science and gaining skills to expand their work in this field. The EarthEcho Water Challenge Ambassadors is an initiative coordinated by EarthEcho International’s Youth Leadership Council and sponsored by Xylem Watermark.